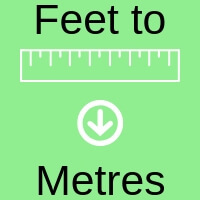 Online calculator to convert feet into metres and millimetres. Table to show feet into metres and millimeters which can be used to convert customary to metric measurements. Enter the value of feet and inches in the first row and click Get Results button. Results appear in metres and millimetres in the second row.